Home BOLLYWOOD Watch: Hrithik Roshan Almost Breaks Down While Talking About Kangana Ranaut Controversy! Watch: Hrithik Roshan Almost Breaks Down While Talking About Kangana Ranaut Controversy! Hrithik Roshan haven’t been speaking about his controversy with Kangana Ranaut for the last three or four years. It’s only now after years, Hrithik Roshan has come out and given his perspective. The actor has finally faced cameras and people only to put out his side of the story. 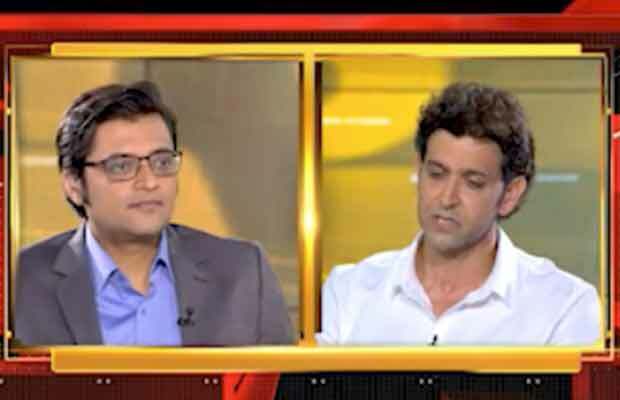 While Kangana Ranaut has always been quite vocal on the matter, Hrithik spoke only yesterday for the first time in an interview with Arnab Goswami. Hrithik poured his heart out like never before in this interview that will be aired tomorrow at 8 PM. Meanwhile, Hrithik Roshan’s statement on the Kangana issue was a testimony of the strong voice that the digital audience represents as millennials. In a day-long Twitter trend ‘TRUTH STANDS WITH HRITHIK’ Twitterate came in support for the Superstar in large numbers. Previous articleBigg Boss 11 Contestant Hiten Tejwani Was Married To Someone Else Before Tying The Knot With Gauri Pradhan!